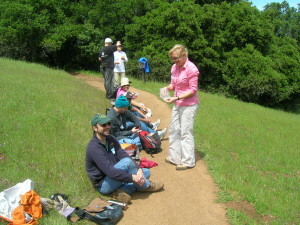 The Bay Area boasts the largest and most varied open space network in the United States. The network did not happen by accident. Conservation leaders like Julia Bott helped protect the Bay Area’s open spaces. Julia Bott is the retiring executive director and founder of the San Mateo County Parks Foundation (SMCPF). She’s led the organization for 17 years and was kind enough to share her perspective from her office in Flood County Park. What is the San Mateo County Parks Foundation (SMCPF)? The San Mateo County Parks Foundation raises money to support projects & programs in the San Mateo county parks. We are the parks biggest cheerleader. We provide information to the public about the great places they can visit. 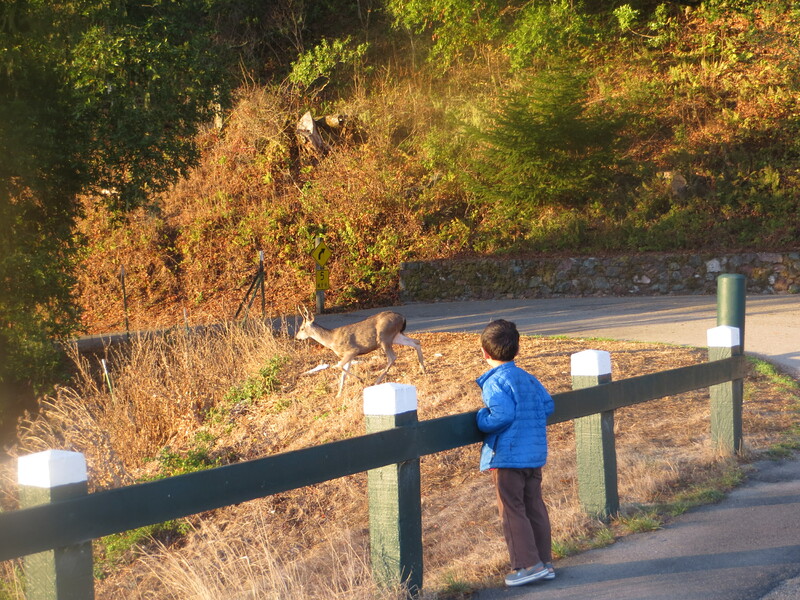 Can you tell me about the San Mateo County Parks? The SMCP protect a little over 17,000 acres across 20 parks including three historical sites and regional trails. 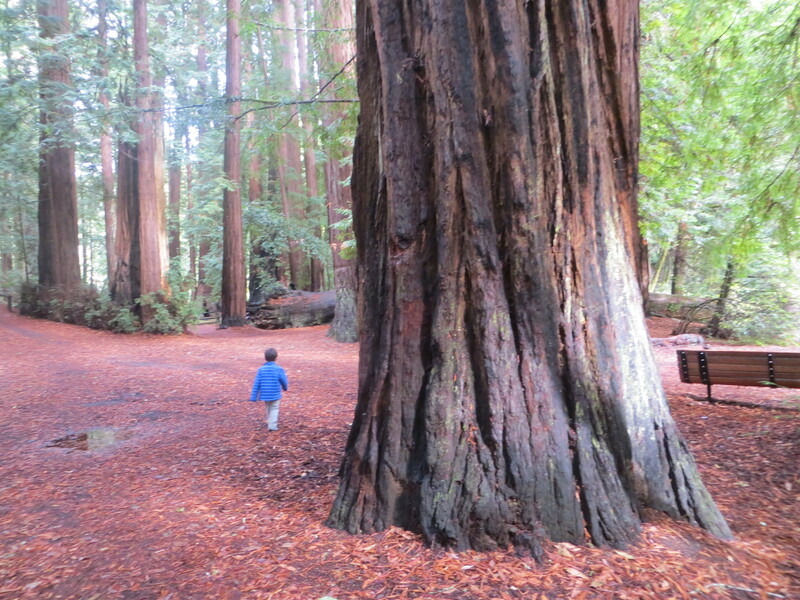 The parks vary in geography from urban parks like Flood, Coyote & Friendship, to wildland parks like Pescadero, and to close to home parks that are beautiful like Edgewood, San Pedro Valley, San Bruno Mountain, & Sawyer Camp Trail. The parks’ variety offer something for everyone: trails for long distance hikes; playgrounds & trees to climb for kids, shorter hikes for families or seniors. For instance a group of seniors built a community based on walking Sawyer Camp Trail at the same time of day. My park use has evolved with my kids. I now spend much time at the Coyote Point playgrounds and watching the deer rut near the San Andreas trail. With all this variety, do you have a favorite park? I do not have a favorite park. I love them all (it’s a bit like choosing your favorite baby). I do have a favorite reserve and preserve because there is only one of each. 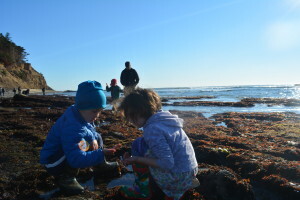 My favorite preserve is Edgewood Natural Preserve and favorite reserve is Fitzgerald Marine Reserve. I love them for different reasons, and it depends what I’m looking for. There is always a different flower to look for through all seasons. I might be looking for the redwoods or the nesting bald eagles near Sawyer Camp Trail. The Park Foundation has had quite a journey over 17 years. As its first Executive Director, can you share how it was founded? At that point, a community was trying to find alternative funding for the parks. San Mateo County Parks is only regional park system without dedicated tax funding. Funding depended solely on the county general fund, park fees, and a few grants. At the time I worked with the Sierra Club which hikes a lot in the SMCP. Some members like Ollie Mayer were instrumental in setting up some SMC Parks and laying out trails. The idea of a foundation for parks was new – especially on the local level. Only a few foundations existed and mostly supported national parks. We formed the Foundation with the support of the Board of Supervisors. I was selected as the Founding Executive Director. It was an interesting time at the height of the dot.com boom. It took 3 months to get a phone line in. We’ve succeeded in establishing an organization that has raised millions of dollars for county parks. What are you most proud of during your time at the San Mateo County Park Foundation? When the foundation started, we were given a list of 6 projects. We completed four projects and quickly decided not to focus on the other two after further review. I’m proud that we completed those four projects. This included the Bill & Jean Lane Education Center Edgewood. It turned out to be a $2.5M project with an original estimate of $500k. We installed shade shelters at a youth day camp at Huddart County Park. We supported a new roof and seismic upgrades at Sanchez Adobe. We upgraded the playground at Flood Park to keep the playground compliant with new safety rules. We called this play2k since many playgrounds went out of compliance in 2000. I’m the most proud of building our donor base. The foundation was started to raise funds for capital projects, and we did not have a single donor. I wanted to build the donor base. The philosophy was to start small and be realistic. We first wanted to fund the volunteer program by providing money to facilitate what the most active users want to do. The volunteers were also our first group of donors. Our first donation to the county was $15k for the volunteer program. We now give $25k per year for the volunteer program and pay for related items like the tool trailers for trail building & habitat restoration. The SMCPF recently gave a significant donation to the county. What did it fund? 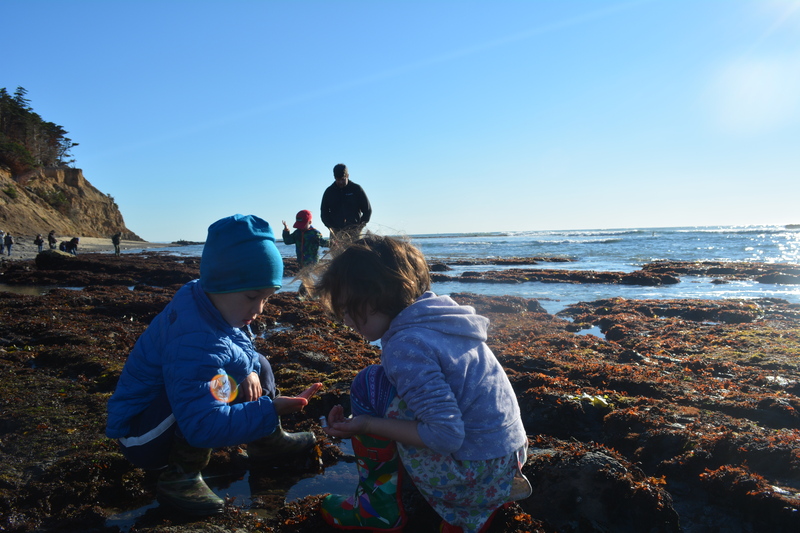 The SMCPF gave $180k to fund a variety of projects including the volunteer program, Bicycle Sunday (supported by the Tour de Peninsula), and fish restoration along Pescadero Creek. The donation also funded the 7th year of Student Conversation Association (SCA) program in the parks. This SCA/SMCP partnership gives local, lower income students green collar jobs in the SMCP. For four days during the week, they focus on park projects. On the fifth day, they focus on skill development. SCA gives them a job and connects them to nature. This can change how they view the land. As a SMCP volunteer and a former SCA crew member, I’m especially fond of those programs. You mentioned the Tour de Peninsula (TdP). Can you describe it and its history? In 2015, over 1500 riders participated in the Tour de Peninsula’s metric century, 30 mile, 20 mile, and kids courses. The kids get to ride alongside Olympic medalists. How cool is that? Sponsors and over 200 volunteers make the difference. We’ve turned it a fundraiser event for the foundation and bicycle Sunday as well. Originally, the Tour promoted the SF Chronicle and used Canada Road and Sawyer Camp Trail. I realized the Tour used the parks but did not benefit the parks. Even when the foundation became the beneficiary, people had a hard time connecting it to parks since the start/ finish was at Sequoia High School. When the organizing company retired from hosting bike events, we took a break. After the break, we rebranded the TdP. We changed its focus to showcase and support the San Mateo County Parks and Foundation. For instance the Tour now starts and ends at Coyote Point Park. With your retirement I understand that the SMCPF selected an excellent, new Executive Director? Can you describe the new ED? 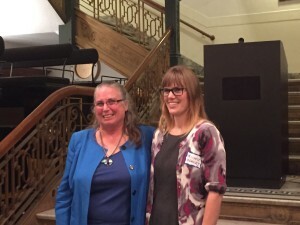 I’m excited that the Park Foundation board selected Michele Beasley as the next ED. She will lead the Foundation 2.0. Great things about Michele include that she’s from the environmental community, loves the parks, and has a long history of making parks accessible. Michele grew up in San Mateo County. She’s worked for the Bay Area’s Greenbelt Alliance and the Peace Corp in Africa. She’s also a member of the San Mateo County Search and Rescue team. Now that you’re retiring, what is next? I’ll take a little time off. I do not have any big plans. I will now be volunteering in the parks as a three hour volunteer. I’ll volunteer regularly for Edgewood and San Pedro Valley parks at the interpretative center and as a volunteer harbor seal monitor at Fitzgerald Marine Reserve. I’ll be there for 3 hours and not be in charge of anything for a year. What are you going miss the most about your job supporting the parks? I will miss seeing how people use their parks everyday. Parks are my passion. I love seeing so many smiles in the parks, especially having my office in a park. I’m going to miss the walk to the mailbox on the other side of Flood Park and seeing three or four types of birds. One year a red shoulder hawk regularly followed me. Then, I get to open the mailbox and open letters and checks that support the SMCP. 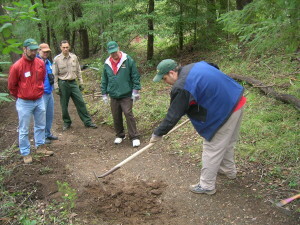 I appreciate the San Mateo County Park Foundation Board and the volunteers. We have a great set of supporters. The San Mateo County Board of Supervisors have been big supporters too. Especially with recently passed Measure A, the county and the SMCP are generously making many investments in the parks.